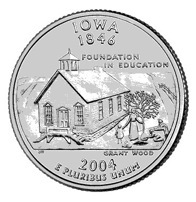 The Iowa quarter features a one-room schoolhouse with a teacher and students planting a tree and the inscriptions "Foundation in Education" and "Grant Wood." 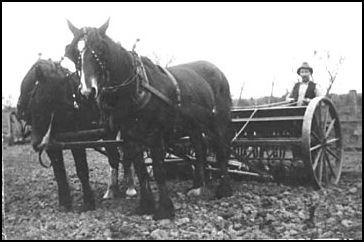 The design is based on "Arbor Day," a painting by Grant Wood, who was born near Anamosa, Iowa. 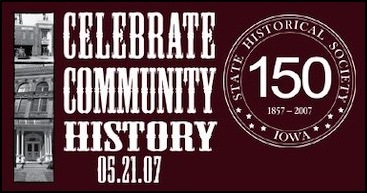 The coin was released in 2004.